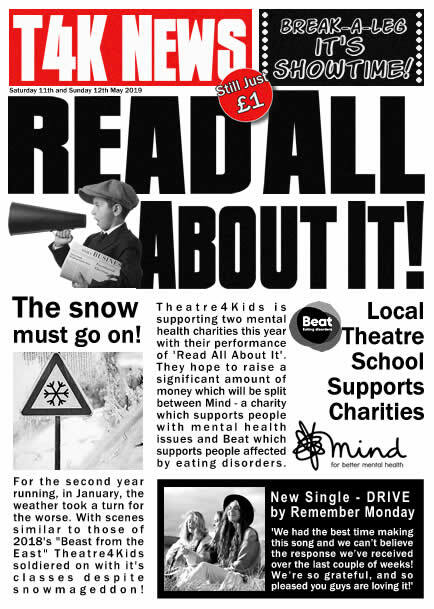 Theatre4Kids presents its bi-annual 2019 showcase 'Read All About It'. Join our wonderful and talented T4K students in an uplifting, comical and thought provoking production. Sit back and be transported on a musical journey through different sections of the media. From cooks who want you to 'Be Our Guest' to young workers who are working '9 to 5' and dare we mention Brexit....?! The showcase promises to have something for everyone in this all singing, all dancing extravaganza!